May 4, 2012 By This post may contain affiliate links. 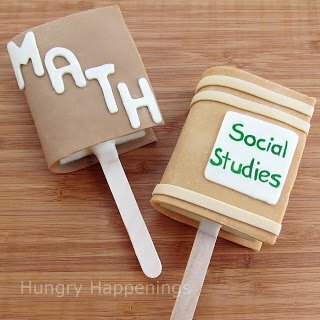 Back to school means you need some Edible Crafts to make for Teacher Appreciation! Here are some of the many you can make with your kids. Have fun and get creative! Are you looking for some truly unique edible gifts to make for teacher appreciation week? Well, here is a recap of some of my creations from last year. As soon as I get over the jet lag, get unpacked, get through the mail, and do some laundry, I’ll get back into the kitchen. 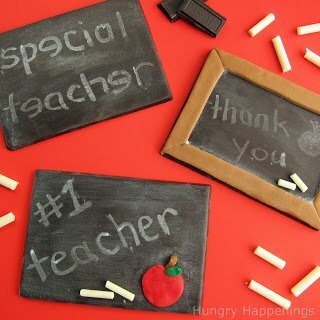 I hope to find time to create another teacher’s gift to share with you for teacher appreciation week which is May 7-11. If not, I’ll be sure to post some new ideas that you can use for end of the year teachers’ gifts. 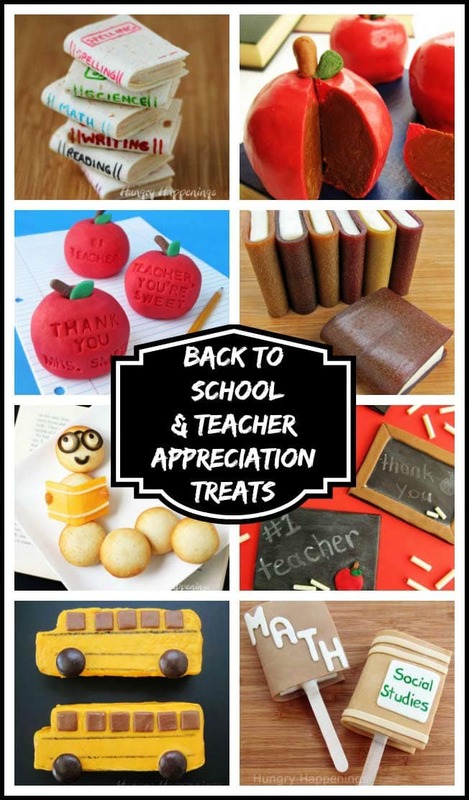 If you are looking for more fun Back to School or Teacher Appreciation Gift ideas be sure to check out all these other amazing food craft and recipe ideas on my School & Teacher Treats Page. Previous Post: « Daisy Pastries – perfect for Mother’s Day, a bridal shower, or spring. You have the BEST ideas, really hope you put a book together!!!!!! You have the BEST ideas, really hope you put a book together!!!! 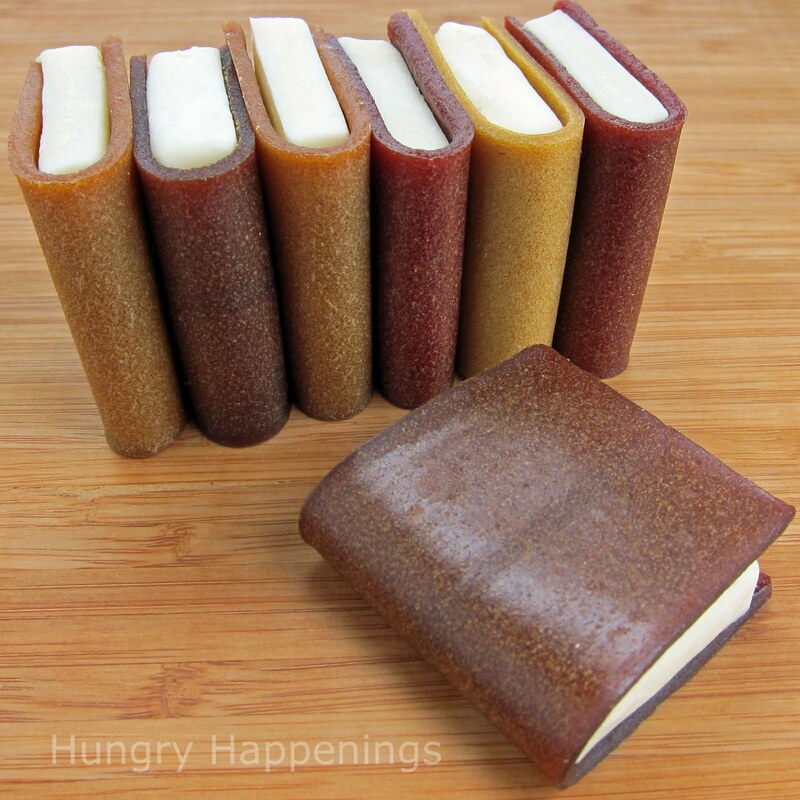 You really fooled me with those 'books.' You do such an incredible job of coming up with unique and clever ideas. Your blog has become one of my favorites and I'm so glad I don't miss a post. I'm sharing these with my daughters and their families. I know some of them will definitely be making some of these ideas for their teachers. 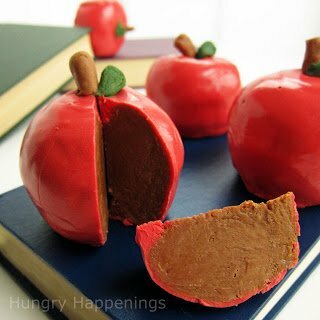 Just too cute and SO decadent and delicious. Those inside out caramel apples look amazing! Makes me want to have a back to school party and I don't even have kids.